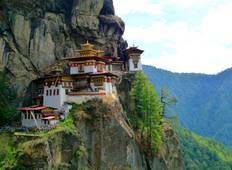 Find a Private / Custom trip that explores Bhutan. There are 13 tours to choose from, that range in length from 4 days up to 14 days. The most popular month for these tours is May, which has the most tour departures. 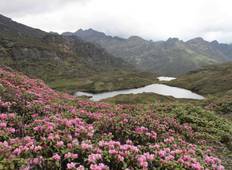 "excellent tour with World Tour Plan! I had a fruitful holidays (11 days 10 nights)...."
"As the option of independent travel is not yet available for most tourists to Bhutan,..."
"The tour of Bhutan was 9 out of 10, we were met and transferred very well by Tashhi..."
"Majestic himalayas, magnificent fotress and vibrant biodiversity greeted me the very..."
"As I was intrigued to revisit the land of the Thunder Dragon,a place of bliss. I..."
"Trip was great, guide (especially) and driver did an excellent job."